The JESS3 team used my sketchnotes as a point of reference as they redesigned the Merryck website — which was just launched. It was an interesting challenge to capture ideas from David over the phone. I found that like any live event, by focusing my mind on the content I was able to convert ideas into visual sketchnotes. It was great to see sketchnotes prove their value again, as they were helpful to the JESS3 team in their beautiful redesign of the Merryck site. 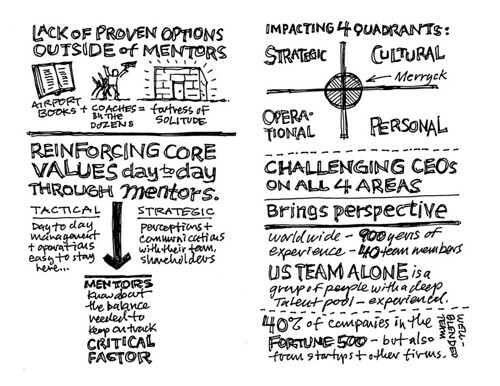 I've never seen such great sketchnotes in other design blogs! 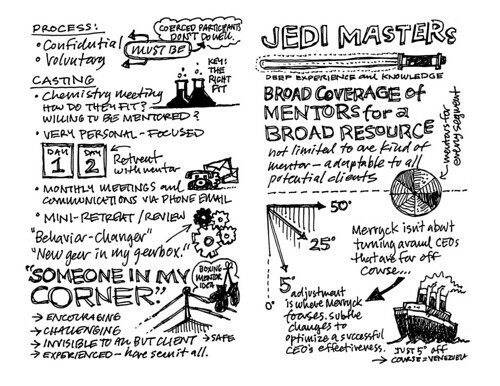 This is a really cool sketch note. I tried to check the link you provided, Mike. It's epic! !